Do you ever want to check your banking account via your cellphone? Are you afraid that your privacy and security are at risk? We have become such a technology dependent society and our cellphones carry everything we need. Well B.M.M.O. Consulting is going to give some tips on how to be smart while banking on your smart phone. Only download banking apps from your recognized bank and from a trusted market such as iPhone or Android. Ensure the security of your phone, just as you would your PC by using anti-virus protection applications. Always keep your phone in close proximity to you when not at home or when company is present. If your phone has a lock feature, lock your phone when you sit it down. It will keep people from logging into your phone and misusing your information. 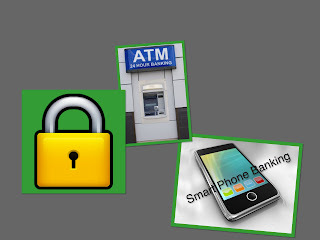 Never use a public Wi-Fi to check banking information, only use those that are locked and have security keys. Never send text messages or emails containing personal information such as account numbers and passwords. Be weary of emails asking you to confirm personal information by clicking on their site. These are phishing messages that seek to steal your information, don’t be fooled! The bank will never ask you to verify information via email. Using your mobile device can be a great convenience, just be smart about where and when you check your information. Banks such as Bank of America offer a zero liability guarantee that prevents the consumer from being responsible for unauthorized transactions. Check with your bank to see if they offer similar programs. More information can be found via MSN Money. Isn't this procedure is risky..? Yes, this could be risky, that's why we wanted to share some tips on how to be careful if users make the decision to bank on their mobile devices. We hope you found these tips helpful.